This INOX Lateral Anchorage has a stainless steel design. Stainless Steel Anchorage For Tube 1 2/3" Dia. 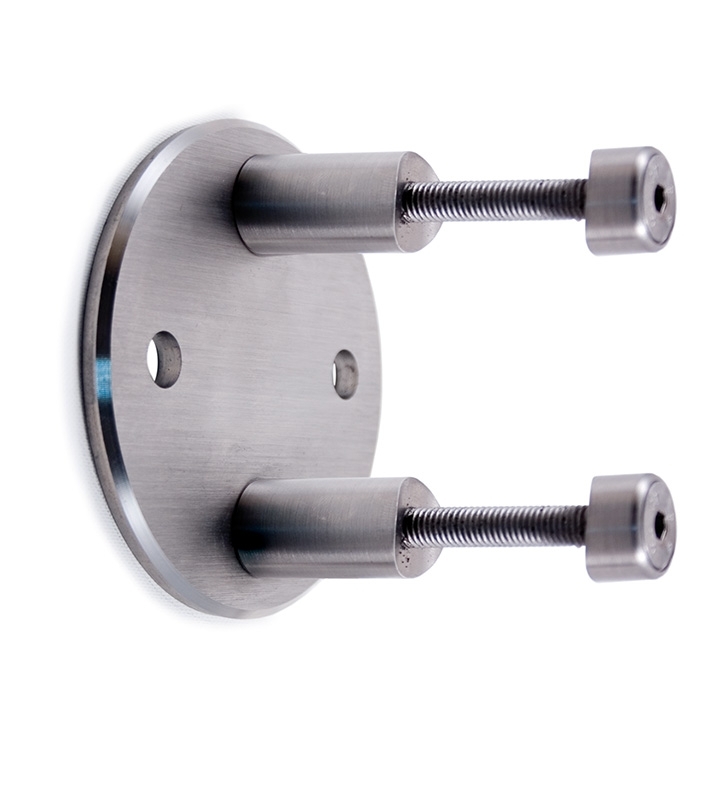 x 5/64" Stainless Steel Mounting Plate 45 Degree, For 1 1/3" to 1 2/3" Dia Tube Pivotable Stainless Steel Pivotable Connector for 1/2" Dia. Bar Stainless Steel Flange Canopy 2 63/64" Dia. x 1/2" Dia. Hole x 1/2"